A picture paints a thousand word and this one speaks warmth. Ok, so South Africa’s wonderful summers seem to stretch out forever, but when they are gone and the chills of winter set in… There’s nothing more rewarding than sitting in front of your braai watching the naked flames dance and sipping a lovely cuppa or enjoying a glass of Cape Red. There are several braai options to choose from free standing to built in to gas. 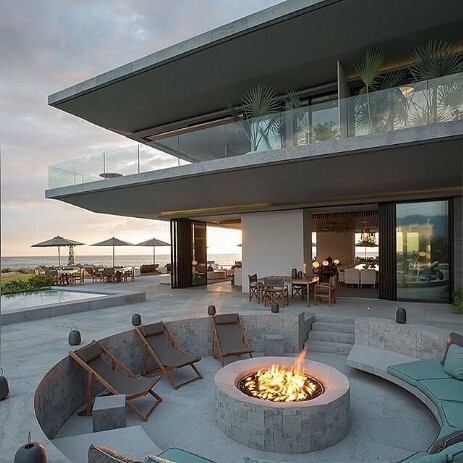 Why not design a braai that is unique to you and your home. Installing indoor braai’s is quite a simple task until the flu reaches the roof, and has to go through tiles or slate or IBR sheeting etc. The right waterproofing expertise is essential, or you will be seeing rust on your chimney flu and puddles on your floor at the first sign of rain. To prevent problems, please choose a Dial A Contractor's accredited installer, they are not expensive and they do the job right the first time. If you require a brick built or stone fireplace, please ask us for a builder. Our gas installers are authorised companies – a must for your insurers. The nature of the South African climate means more and more people are taking full entertainment outdoors. The latest trend to sweep the home improvement industry is the implementation of an outdoor kitchen. 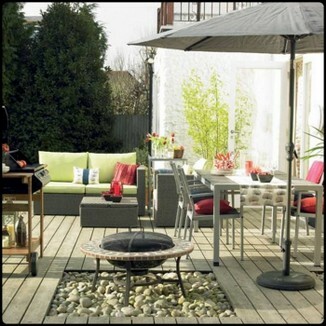 This fabulous, interesting culinary area extension brings the indoors out and creates a pleasurable outdoor activity. One of the first things to keep in mind with outdoor kitchen designs is the climate. As sunny and beautiful as our days have been, we cannot deny that some storms that hit us are catastrophic. To that end, a sturdy structure needs to be built, and made to last. Use solid materials when you build, and take safety into account. Consider materials like stainless steel, concrete and brick. The first and most important item for your outdoor kitchen design is a braai (or grill). There is a wide variety of options available here, and from a number of different suppliers and manufacturers. Next, consider items like electrical appliances (fridge) otherwise you'll be forced to go back and forth during the preparation phase. Cabinets should also be installed, and some have opted for outdoor stoves. Firepits and pizza ovens are also options for cooking outdoors. Once youve got your basic essentials in, the fun begins. If your budget permits, you can include anything in your outdoor kitchen from dishwashers and microwaves to ice-makers, wine coolers and even blenders. Remember that everything that you install in your outdoor kitchen needs to be waterproof. When it comes to laying out the outdoor kitchen, standard kitchen work triangle principles apply. This means that you must consider the flow of work, from storage to preparation and cooking to cleanup. Make sure the designer you select understands your needs and how you like to operate when cooking. Make sure you can always get to things easily. Much like an indoor kitchen, lighting is extremely important. Another vital aspect is the countertops or work surfaces that are used. And when it comes time for cleanup, it helps to have an outdoor sink. As such, piping and electrical components will need to be installed, and for that you need reputable and qualified electricians and plumbers. Experts recommend that the outdoor kitchen be designed under roof, or on a covered patio, but the braai or grill should be located where rising smoke wonâ€™t affect your family. For its foundation, the patio will need proper and sturdy flooring. A natural choice is concrete, because this material does not become slippery when wet, and is easy to clean. You also have constant resilience with concrete. A number of braai enthusiasts have taken their outdoor entertaining to whole new level by constructing outdoor kitchens in their backyards. These range in complexity from a simple braai flanked by concrete countertops to extravagant, fully equipped kitchens, complete with multiple cooking surfaces, sinks, bars and storage areas. Whether youre looking to enhance the braai area on your patio with a few work surfaces, or install an entire braai island, an outdoor kitchen is a great investment for your home. Want to enjoy the great braai taste all year round, no matter the weather? Then bring the barbecue indoors. A gas grill with an extractor system or a hot rock grill with hob are perfect for indoor use as they are can be ignited with the simple push of a button and give off minimal smoke. Plus, theyre easy to clean. Going green has been extended to the braai with more and more people buying their barbecues based on how environmentally friendly the fuel is. While electrical braais are the greenest option, they are quite rare. Charcoal or gas braais are your next best bet. A charcoal braai produces the smoky flavour that South Africans love and can be quite cost-effective, while gas makes for quick and easy cooking. A combination braai can give you the best of both worlds as well as more cooking options making it super convenient for your entertaining needs. With these braai trends, your outdoor entertainment area is sure to sizzle with style!